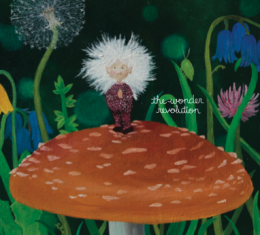 If Dots is the Wonder Revolution manifesto, then Forest Meeting is the first chapter in its history. Featuring the same ensemble cast as its companion piece, Forest Meeting is a deeply original work that asks us to imagine a rock opera as written by Morton Feldman and Stephen Sondheim. A trio of tracks comprises the album, each retaining its own character while also speaking to Lord’s expansive mastery of composition. Featuring a wide range of male and female voices, the songs here capture the spirit of the majestic place that Lord has created across these two recordings and may very well continue to visit on future recordings. Childlike but not only for children this is one meeting you don’t want to miss. All songs written by David Lord. Recorded and mixed by David Lord and Micajah Ryan at Air House Studios. Mastered by JJ Golden at Golden Mastering. Cover art by Lindsay Bowling. Design by Green Couch Design.